Children are becoming smartphone-savvy at an ever younger age, and it’s no wonder. This magical device is the gateway to a world of endless possibilities, where they can explore and discover, make new friends and play any game they like. 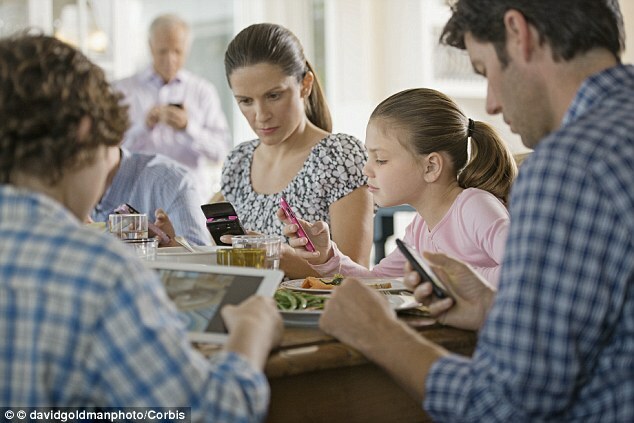 But, while the kids are delighted, smartphone use is a major source of concern for many parents. For a generation that grew up with nothing more high tech than a TV, there’s a strong feeling that engaging with a phone for an extended period of time is intrinsically damaging to their children’s mental and physical health. From the real concerns that their children could see inappropriate content or connect online with strangers, to a fear of them becoming isolated and sedentary, most parents find phone and screen time challenging. So, how does a modern parent tackle the smartphone issue? Perhaps the first step is to remember that the world is changing and that technology is an inevitable part of this change. Remember that children have a natural curiosity and will always push for the autonomy to explore. It’s this innate drive that helps them move forward and discover the world. Apps may not be toys in the traditional sense of the word, but many stimulate creativity in the same way, allowing children to develop all manner of skills and increase their self-esteem. Instead of knee jerk reactions or rose-tinted comparisons with our own childhood, a better approach is to understand the good things technology offers, then get your kids on board to keep things balanced. Apps are usually free and easy to download, so children get used to doing it by themselves. But if you show an interest and get involved in what they’re doing, you can make it natural for your kids to share their choices with you. If they ask for a specific game, talk and learn about the game together. You can preview the content through the app itself or by reading other users’ opinions. Then make an informed choice as to whether to download it or not. Know their tastes and interests and do some research on age-appropriate apps. Ask them to make a list of the games they enjoy most, so you can get more insight into what appeals to them. Choose video games that foster positive values and avoid those that do the opposite, but do it through dialogue with your children. If you forbid them from playing a certain game, you are likely to make it more attractive. Time flies in front of a screen. Most of us experience that on a daily basis. Even if it’s a creative and rewarding game that your child is playing, it may still be taking up too much time in the day. If your children seem to be left with little time to do other things they enjoy then it could be the moment to set some time guidelines. Help them be aware of how long they spend playing. On a blackboard or in a notebook, write down how much time is spent on video games and on other activities (watching TV, doing homework, playing with friends, etc.). Then look at the results together. They may be surprised at how much of their time is being taken up on their phone and could well be happy to establish a better balance. Before they begin playing, ask them what time they plan to finish. Getting their commitment beforehand is important, as once they start playing, they’ll be absorbed in the game and far less responsive. Be understanding and respect their needs. Don’t belittle or criticise them. Don’t assume that screen time means the end of family time. If family time is suffering, why not find something that you can all play together? The easy accessibility of mobile technology means that we can get whatever we want, whenever we want it. The boundaries of space and time are increasingly blurry online, where there are infinite places to play 24/7. Encourage your children’s autonomy in managing their own time. Each activity has its time and its place, and you can help them develop their capacity for self-control. Don’t let your children isolate themselves online in spaces where they can connect with others, such as lunchtime, a car trip with the whole family, a party or a get-together with other kids. Your children are likely to be connecting with other players online, so make sure they are maintaining healthy relationships with them and staying safe. Talk to your child in an age-appropriate way about how to keep safe, such as never giving out personal details, email addresses or phone numbers. Being open and accessible is essential. That way they are more likely to trust you in the event that there is something they are not sure about and need your help with. They need to be confident that you will be calm and receptive if and when they approach you with a problem or concern. Healthy game sharing promotes social skills, communication and trust between friends. Encourage your children to treat their online playmates with the same respect that they would in any other space, and to let you know when they are not happy with the way other gamers are behaving. It takes a lot of energy and patience to move away from smartphone angst and into a healthier place based on dialogue and understanding. But your active participation and interest in your children’s smartphone use can transform the relationship you all have with mobile technology. It’s not easy, but it’s certainly worthwhile.